Hundreds of protesters gathered outside the CNN center in Atlanta on Monday to march in memory of unarmed Missouri teenager Michael Brown who was gunned down by a police officer, many in protest of CNN’s controversial coverage of the incident. Demonstrators who had been urged to attend dressed in their “Sunday’s best” marched under the slogan: “How good must we look to be considered innocent?” and used the #ItsBiggerThanYou hashtag. 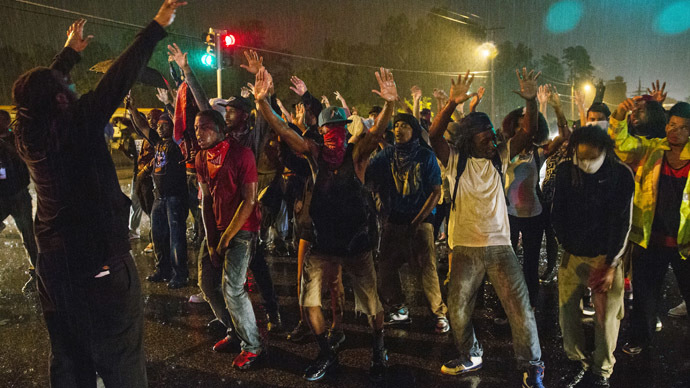 The protest was staged in response to CNN’s Ferguson protests coverage, which had a strong emphasis on past actions by Brown which may have incriminated him. 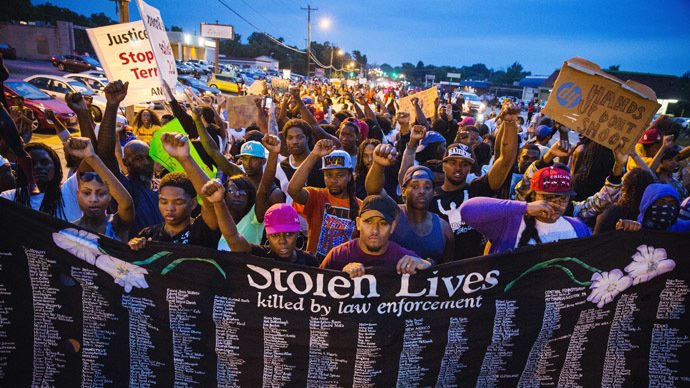 According to the Atlanta Journal Constitution, as many as 1,000 protesters marched. Participants and observers also took to Twitter to denounce CNN’s lack of coverage of a protest directly outside its offices. 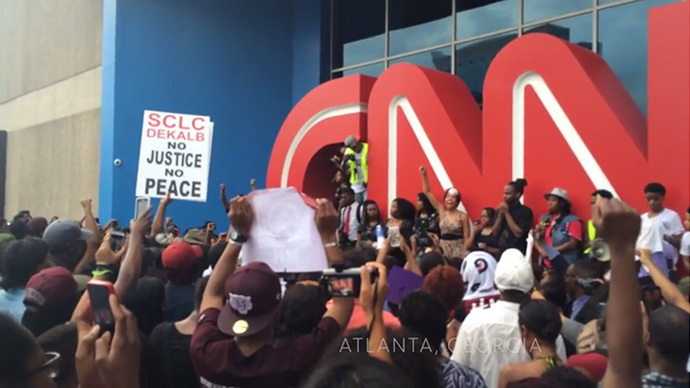 “@Cnn nothing about the protest in front of your Building in Atlanta” one tweeter observed. “Hey @CNN when were you guys going to report on the Ferguson protest at your Atlanta headquarters yesterday?” another user wrote. 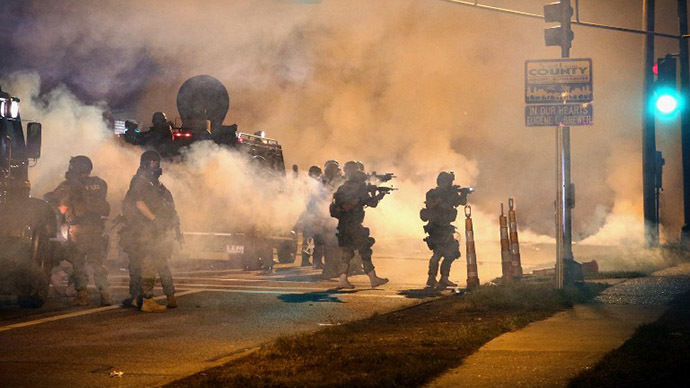 Brown’s shooting instigated a series of protests in Missouri which have been suppressed using tear gas and other methods deemed excessive by critics. Those have led to accusations over the militarization  of the police force and comparisons of the scenes of protests to a “war zone”. 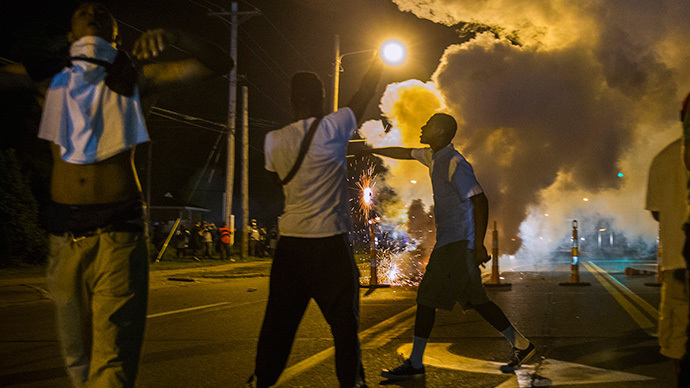 In one photograph used by CNN, forces were clearly seen leveling their guns. The killing of the likely unarmed Ferguson teenager, who was shot by white police officer Darren Wilson, has attracted thousands of protesters to the streets of Ferguson for days, despite an initial curfew and heavy tactical police and National Guard presence.